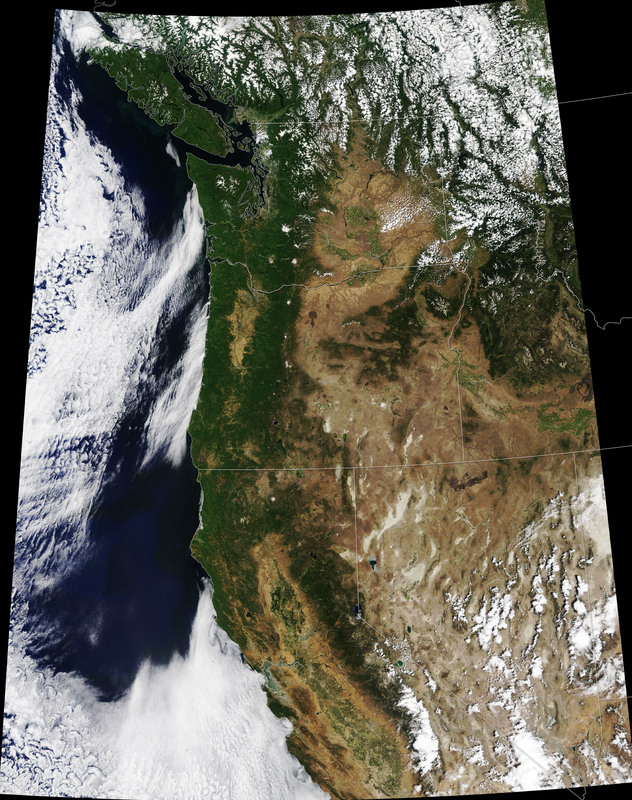 NASA Earth Observatory images by Joshua Stevens, using MODIS data from LANCE/EOSDIS Rapid Response. Caption by Adam Voiland. The 2018 wildfire season in the United States is well under way, with blazes having burned more acres than average through the middle of August. 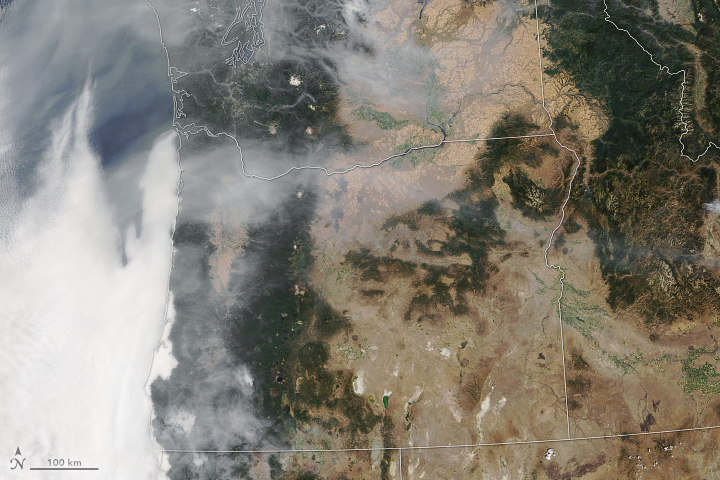 On August 15, 2018, nine large fires were burning in Oregon, according to the National Interagency Fire Center. The largest, the Klondike fire in southwestern Oregon, had charred more than 57,000 acres (23,000 hectares). The nearby Taylor Creek fire had burned more than 45,000 acres (18,000 hectares). 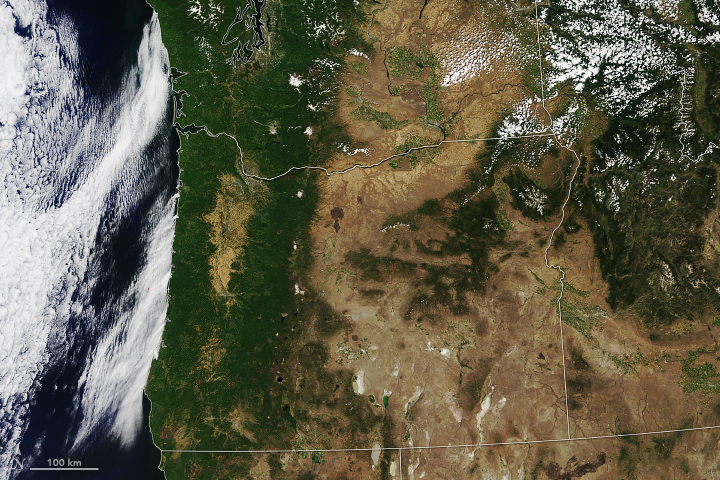 The Moderate Resolution Imaging Spectroradiometer (MODIS) on NASA’s Terra satellite acquired these natural-color images on August 14 and July 11, 2018. 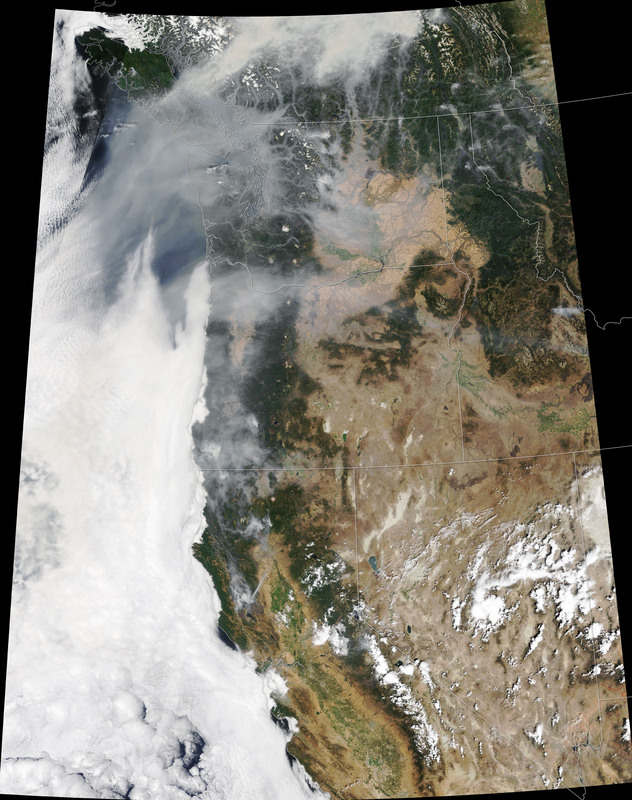 The images highlight how much smoke the fires have produced compared to a clear day. National Interagency Fire Center (2018, August 15) Incident Management Situation Report. Accessed July 30, 2018. Statesman Journal (2018, August 13) Oregon wildfires: Klondike Fire spreads to 51,120 acres. Accessed July 30, 2018.